You might think that the light of the fire will be enough to grill by. Except you’d be wrong, it never quite works that way, does it? So get a grill light ($50). 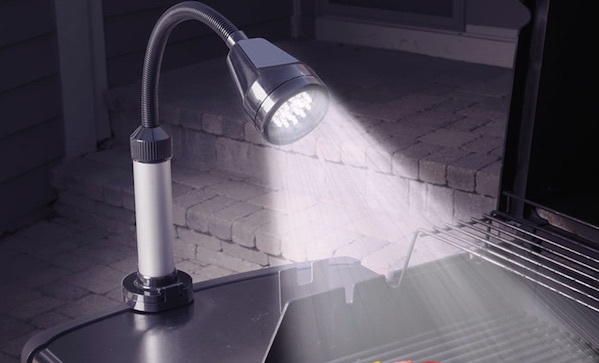 This one clips on to your grill with a c-clamp, has a bendable goose neck, uses eighteen LEDs that produce 281 lux, is waterproof, and is on a thirty-minute timer. That way, if you hustle the steaks off the grill and forget about the light, you’re fine. Even if it starts raining.